Frontline beach penthouse in Rincón de la Victoria, just in front of Casa Fuerte in a very central area. It has a total of 250m2, distributed in 150m2 on the first floor and 100m2 of solarium. This fantastic penthouse has amazing views to the sea, barbecue area and parking place included in the price. Townhouse located in Añoreta Golf (Rincón de la Victoria) just a few meters from the golf course and the international school. It has three bedrooms, wide living room with access to a private garden, wide kitchen with pantry, two bathrooms, one toilet and a wide basement. The complex has communal parking area, two pools, tropical gardens and paddle tennis court. Very easy access to the highway. 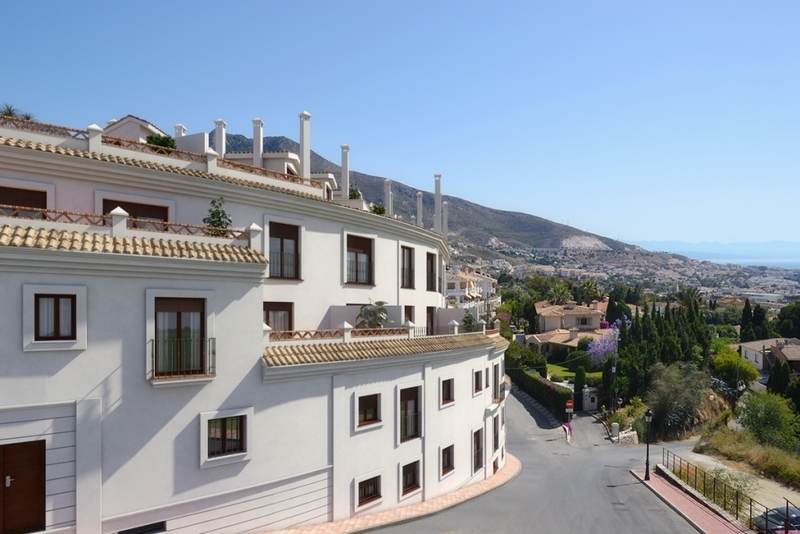 Fantastic apartment located in a gated community with pool and gardens. The house offers entrance hall, living / dining room, kitchen, 3 bedrooms, bathroom, toilet and terrace. Also with wide parking space and store room included in the price. Very well located, just a few minutes from the beach, the center of Rincón de la Victoria, Mercadona and Lidl and with an easy access to the motorway.